Summer is upon us. While many of you will be making your way to the multiplex to see the blockbusters (I will be as well), there are a large amount of independent films that may not be on your radar that really should be. Today and tomorrow, I'll be publishing summer movie previews featuring independent films that I personally believe are well worth the trip to the theater (or iTunes). The films are listed in no particular. On some of the films, the filmmakers provided exclusive statements or fun facts about their work. TANGERINE (Dir. Sean Baker) - Sean Baker's technically innovative, iPhone-shot film about a transgender prostitute's search for her cheating pimp/boyfriend on Christmas Eve in LA is an electrifying look at a group of people rarely depicted on film. Featuring high-energy, raw performances by Kitana Kiki Rodriguez and Mya Taylor, this is a film of power, insight, and love. One of my personal favorites of the summer. On the film, director Sean Baker said, "I think this film is a response to those who told me that I'd go soft if I moved to LA. I've made five features now and this is the one I'm most proud of." Magnolia Pictures will release on July 10. (Dir. Alfonso Gomez-Rejon) - Winner of the 2015 Sundance Film Festival's U.S. Dramatic Grand Jury Prize and Audience Award, Alfonso Gomez-Rejon's touching Me and Earl and the Dying Girl is a showcase for its talented leads, Thomas Mann and Olivia Cooke, and for screenwriter Jesse Andrews (who adapted his own book) and director Gomez-Rejon. Andrews and Gomez-Rejon balance drama and comedy quite well, creating a film that's simultaneously tear-jerking and laugh-out-loud funny. And, because Me and Earl is loaded with clever obscure film references, this one will be a special treat for cinephiles. Fox Searchlight will release on June 12. (Dir. Carlos Marques-Marcet) - Opening with a 23-minute uninterrupted take and never losing steam from there, Carlos Marques-Marcet's heartbreaking romantic drama, 10,000 KM, is a love story for the modern age. The film received special jury recognition at SXSW 2014 for Best Acting Duo for Natalia Tena and David Verdaguer's naturalistic, emotional performances. Most films leave my memory soon after I view them, but this one is nearly as fresh in my mind as it was moments after screening it last summer. Broad Green Pictures will release on July 10. (Dir. Bill Pohlad) - Biopics are frequently a snooze, telling essentially the same story over and over. While Love & Mercy, a biopic of The Beach Boys' Brian Wilson, does follow some structural conventions, it breaks quite a few others, and showcases superb direction, sound design, production design, and performances (John Cusack, Paul Dano, Elizabeth Banks, and Paul Giamatti give some of the best performances of their respective careers). Roadside Attractions will release on June 5. (Dir. Kyle Patrick Alvarez) - A clinical, complex, deeply disturbing immersion into Philip Zimbardo's notorious experiment, Kyle Patrick Alvarez' double Sundance award-winner, The Stanford Prison Experiment, is a horrifying, yet highly intelligent and thought-provoking filmgoing experience. Even though many viewers already know the outcome of the experiment, viewing it is no less fascinating and intense because Alvarez and writer Tim Talbott don't get too lost in the experiment itself to develop their characters and make them human. Billy Crudup, Ezra Miller, and Michael Angarano give standout performances. According to director Kyle Patrick Alvarez, people have been trying to make the film for nearly 30 years. 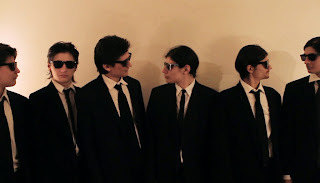 IFC Films will release The Stanford Prison Experiment on July 17. (Dirs. 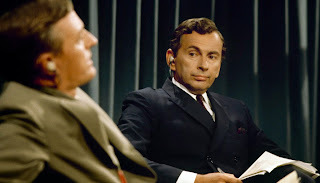 Robert Gordon and Morgan Neville) - Hot off his Best Documentary Oscar win for 20 Feet From Stardom, Morgan Neville returns with this entertaining chronicle of the Gore Vidal/William F. Buckley debates during the 1968 political conventions. While focused around the debates and the larger-than-life personalities involved in them, this film has much more on its mind than simply telling the story of two opinionated political pundits who verbally battled it out on TV. Magnolia Pictures will release on July 31. PHOENIX (Dir. Christian Petzold) - Christian Petzold's follow-up to his haunting Barbara, Phoenix, is even more haunting and features a handful of scenes that will be burned in your memory. 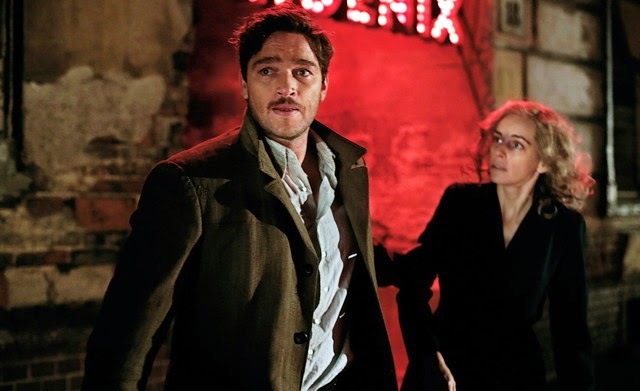 Nina Hoss' performance is a masterclass in acting, and the ending is a stunner. Sundance Selects will release in theaters July 24. (Dir. 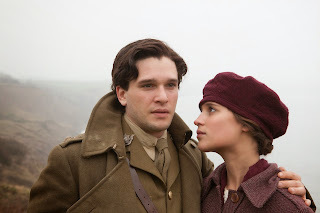 James Kent) - James Kent's Testament of Youth is a powerful anti-war film adapted from Vera Brittain's memoir of the same name. Featuring an radiant, emotionally vivid performance from Alicia Vikander and some stunning cinematography by Robbie Ryan, Testament is a good piece of filmmaking about an important woman who too few know about. Sony Pictures Classics will release the film on June 5. (Dir. Crystal Moselle) - Winner of the 2015 Sundance Film Festival's Grand Jury Prize for Documentary, The Wolfpack, is one of the more unusual documentaries to come out in some time, as it centers around a group of brothers raised in the Lower East Side of NYC who have only been outside of their apartment a few times in their entire lives and know much of what they do about life outside through the movies. Sad, yet ultimately uplifting, The Wolfpack is the rare kind of documentary that will interest filmgoers of all kinds. Magnolia Pictures will release on June 12.